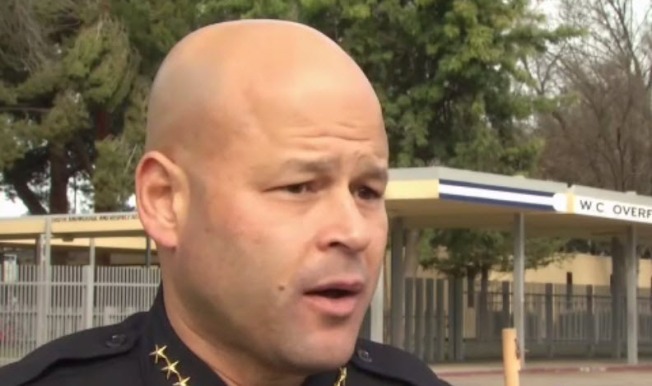 School resource officers in San Jose this week were formally told their role at campuses across the city is changing under a new agreement between school districts and the police department. Effective immediately, the resource officers are to focus on safety and security of students and staff and not routine student misbehavior. The announcement comes after an NBC Bay Area investigation revealed children across the Bay Area, including in San Jose, were getting criminal records for what some describe as just childish misbehavior. At Overfelt High School in East San Jose, educators applauded the new agreement as Chief Eddie Garcia and East Side Union High School District Superintendent Chis Funk sealed the agreement with a handshake. "Police officers are not the dean of students," Garcia said. "They’re not here to do the job of the administration. They’re here to keep the peace on school campuses, keep violence away." The decision comes after incidents across the country involving fights between students and campus police over minor issues such as cellphones or dress codes. "I remember after that, thinking to myself, 'You know what, I don’t want that happening here,'" Garcia said of a viral video that showed an officer wrestling a female student to a classroom floor. Funk and Overfelt Principal Vito Chiala lauded the agreement. "It's really nice to have a clear policy about the relationships between SJPD and the schools," Chiala said. The new agreement involves every high school in San Jose, 34 in all. Many in those high schools say their job is to get kids into perhaps a state university and not a state penitentiary. "Our students were paying a price because if they received a citation in a case where they really shouldn’t have, they’re now on the school-to-prison pipeline," Funk said. "And conversely, it also makes our officers antagonists." School resource officers in San Jose are sworn police officers who work on campus on their days off.